Handheld Group is a manufacturer of rugged mobile handhelds and tablets for tough work environments. Handheld offers rugged computing solutions for public transportation authorities as well as for railway maintenance, transportation and logistics companies. Perfectly ergonomic, seriously rugged, and ready for your mobile transit tasks, Handheld’s mobile computer lineup for mobile ticketing and transit deployments offers unmatched mobile performance at an excellent value. Our rugged eTicketing computers come with contactless readers for electronic fare collection, cashless ticketing validation and are reliable tools for secure mobile ticketing, transactions for public transportation authorities. Mobile ticketing makes it easy for commuters to purchase their tickets using their cell phones on the go. With mTicketing the cost of traditional paper-based ticketing can be reduced and the more modern digital services increase customer convenience by providing new and simple ways to purchase tickets. Public transport workers can refill transit cards and sell tickets on board. Using rugged handhelds, ticket inspectors and transport authorities can read travel smart cards or magnetic stripe cards to check passenger fares and tickets on board trains, city buses, subways, trams, or ferries charging penalties on the spot. And with a work tool that is built rugged from the inside and out workers can focus on their job and don’t have to worry about their work tools failing because of tough weather, drops or other environmental disturbances. 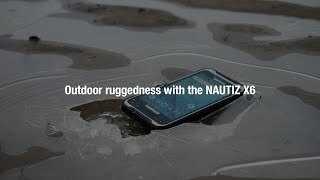 The NAUTIZ handhelds and ALGIZ tablets are all fully rugged computers that meet stringent MIL-STD-810G test standards for withstanding rough use, vibration, drops and tumbles, and extreme temperatures. And the IP65 rating means that they are waterproof and fully protected against sand and dust. Learn more about what rugged really means here. 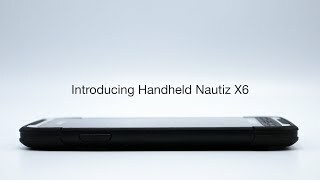 The NAUTIZ eTicket Pro II is a rugged PDA customized for transit payment transactions and validations. It merges ultimate rugged mobility with true field functionality and is a reliable and efficient tool for mobile ticketing and validations. The integrated smart card reader supports near field communication (NFC) for mobile applications, smart cards and tickets. The built-in reader complies with all the latest e-ticketing requirements in public transportation, supporting a broad range of contactless standards, including the entire MiFare family. In the need for something with a larger screen? Take a look at the ultra-mobile ALGIZ tablets! 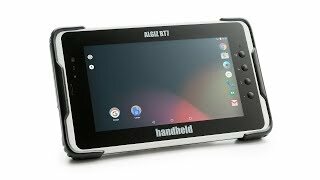 Handheld offers Android rugged tablets with unmatched mobile ticketing performance and value as well as larger screen Windows tablets for railway maintenance work, mobile mapping and tunnel surveying. 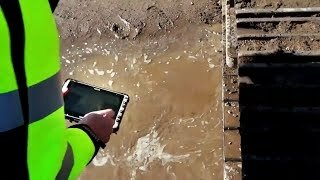 The Algiz rugged tablets are compact in size and combines powerful computing with ultimate reliability in the toughest environments. They offer fast processing power along with user-friendly features and design, maximizing efficiency on long work days for railway workers. Compare Handheld rugged computers’ specifications here. With its bright and large capacitive touchscreens made of chemically strengthened glass, the Algiz rugged tablets come ready to display your work, indoors and out in the field. Screens support rain mode, glove mode and active pen mode for flexibility in challenging and changing conditions. Vehicle cradles and mounts, multi-slot chargers and multiple carrying cases allow you to outfit your team for maximum efficiency. Designed specifically with transit workers in mind, Handheld’s rugged computers for eTicketing comes with built-in Arcontia smart card readers that makes each device extremely fast and accurate for contactless payment data collection. The powerful Arcontia reader supports ISO/IEC and ISO14443 type A/B RFID devices and has two integrated Security Access Modules (SAM) based technology for safe transactions. The contactless electronic link between the card and the reader allows for the fast interface that is needed in security and payment systems. 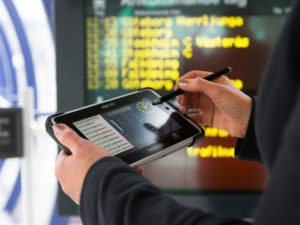 Handheld’s rugged eTicketing computers are dependable and efficient tools designed specifically for transit workers — they are reliable, packed with features, lightweight and mobile. In addition to sophisticated eTicket RFID readers, the Handheld rugged eTicket computers house cameras, a high-performance 2D barcode imager an integrated stand-alone u-blox GPS receiver for navigation functionality. And the ALGIZ RT7 eTicket even provides user-accessible dual SIM card slots. And multiple connectivity options including high-powered 3G or 4G (LTE) and Wi-Fi keep you connected wherever you go.